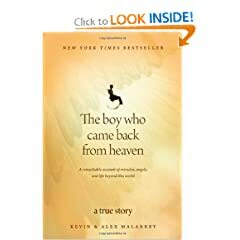 The Boy Who Came Back from Heaven: A Remarkable Account of Miracles, Angels, and Life beyond This World (9781414336060): Kevin Malarkey, Alex Malarkey. “God is amazing. ” Alex Malarkey We were made for so much more than the things of this world. . Sometimes we can sense it .